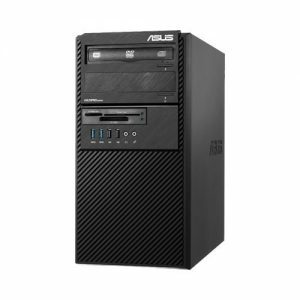 Download ASUS BM1AD Desktop PC Windows 7 32/64bit Drivers, Applications and Manuals. Realtek Audio Driver V5.10.0.6853 for Windows 32/64bit XP---(WHQL). Intel Graphics Accelerator Driver V9.18.10.3234 for Windows 7/8 32bit & 64bit---(WHQL). KuangYing Cardreader Driver V6.1.7600.30103 for Windows XP/7 32bit & 64bit---(WHQL). eManual V1.00.06 for Windows 7/8 32bit & 64bit. ASUS Easy Update2 V3.00.08 for Windows XP/7/8 32bit & 64bit. ASUS AI Suite II V2.01.05 for Windows XP/7/8 32bit & 64bit. ASUS WebStorage V1.1.18.159 for Windows XP 32bit & 7 32bit & 64bit. Asus Secure Delete V1.0.0012 for Windows XP/7/8 32bit & 64bit. ASUS COM Port Card Driver V3.4.31.231 for Windows 32/64bit Windows 7---(WHQL). AI Security V1.03.05 for 32/64bit Windows 7 & Windows 8. SUNIX Multi-I/O Controller Driver V7.2.0.0 for Windows 7 32bit & 64bit---(WHQL). Atheros Wireless Network Driver V10.0.0.221 for Windows 7 32/64bit---(WHQL). Atheros Bluetooth Driver V7.4.0.150 for Windows 7 32/64bit---(WHQL).